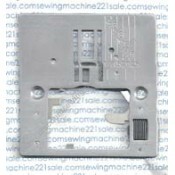 Singer plastic feed cover plate compatible with zig-zag plate #312391.Alternate Part Numbers381459Fi..
Takes bobbin cover plate #760003.Fits the following Singer sewing machine models4166Fits the followi.. This plate is no longer available, for an optional replacement please see cover plate P60402. Origi.. Original plates, may have small needle marks, however still very functional. Feed cover plate for: 7.. Dark plastic snap-in feed cover plate. Compatable with needle plate #051046, 051099.Fits the follow..
Feed cover plate for free motion sewing, darning, sewing on buttons, etc. 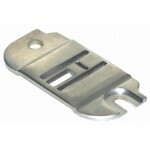 Compatible with zig-zag p..
Feed cover plate compatible with machines using zig-zag plate #312777, #356713 and #409286. Also fit.. 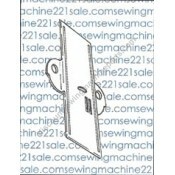 Compatible with zig-zag needle plate #316108.Fits the following Singer sewing machine models 302, 3..
****No Longer Available**** Feed cover plate for Singer 237 early models which did not have a fee..
Singer feed cover plate fits: 200, 300, 400 series. Transparent, snaps into zig-zag plate #352461-8..